The Selection Box 2018: Our latest collection of music, old and new, for Christmas. A marvellously magical mix of music for a merry Christmas and a cool Yule! Music, poetry and fun for a very merry Christmas and a blessed Yule! POETRY AND FUN BY: Johnny Cash - Jim Thielen - Judge Reinhold and Eric Lloyd - John Betjeman, read by Robert Donat - Bill Murray - Dollie Radford - The Muppets - Gracie Burns and Peter Brocco - Bing Crosby and David Bowie - Julie Andrews and Peter Ustinov. A celebration and contemplation for the darkest season, in music and verse. 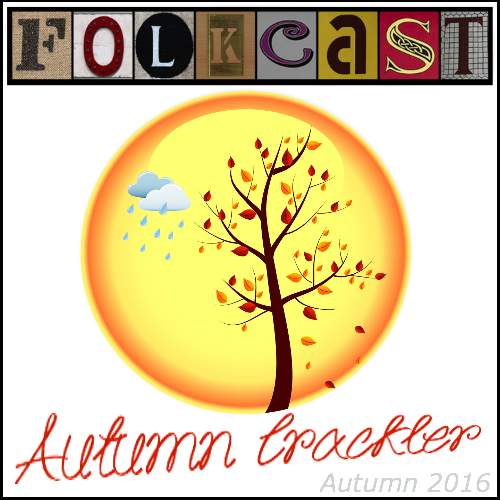 Welcome to FolkCast’s Autumn Crackler for 2016. Readings from: "The Golden Bough" by Sir James Frazer - “Mushrooms” by Margaret Atwood - "All Hallow's Eve" by Erin Morgenstern - “The Origin And Customs Of Guy Fawkes' Day” from The New Adventures of Sherlock Holmes: The Gunpowder Plot. Music by: King Courgette - Erik Johnson - Martha Tilston And The Woods - Jimmy Lee Morris - Wood, Wire & Words - Ken Nicol - Bluebird Avenue - Rab Noakes - Ross Ainslie - Hot Fingers - Genevieve And The Wild Sundays - James Filkins - Jacanda - Helen Chadwick - Rusty Shackle - Clive Palmer - Kris Drever - Amy Cook - Talis Kimberley - Darwin's Daughter - Carol Laula. 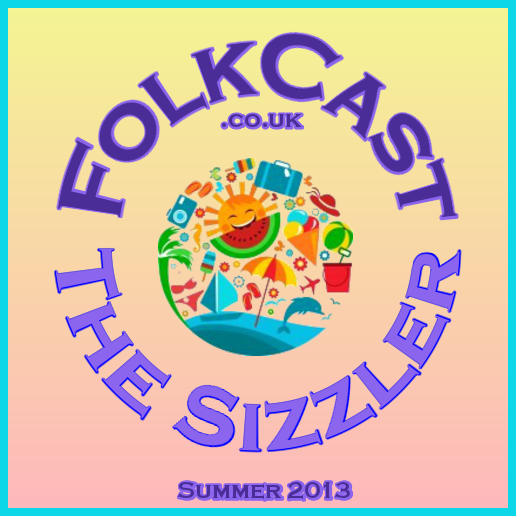 "You know it's summer when ... the FolkCast Summer Sizzler hits your podcatcher!" 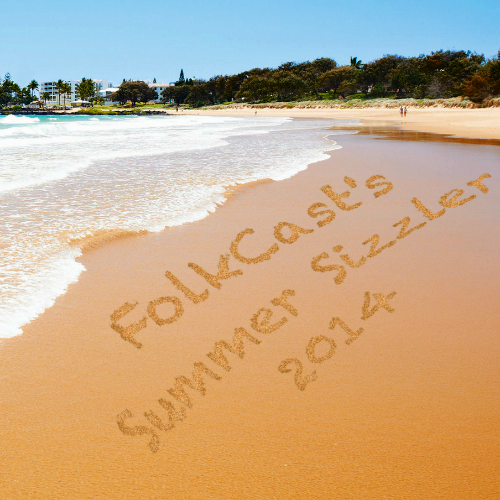 FolkCast's fourth annual celebration of Spring. Poetry by: Margaret Buckle - Anon. Take a trip to Babba's Island, somewhere off the south coast of England, and discover how Folkie Phil and Babba get several sack-loads of music and readings all about Christmas, to good little FolkCasters all over the world ... in just one night! 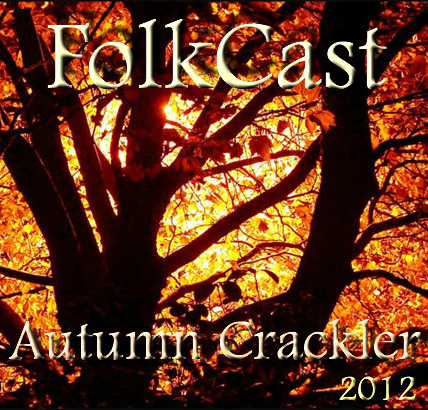 As Summer fades, enjoy the wonders of Autumn with the Crackler! A picnic basket stuffed with treats for the season of sun, wasps, downpours and the harvest. March Into May 2015: A Podcast all about the season of Spring! Good news! You've survived the winter! 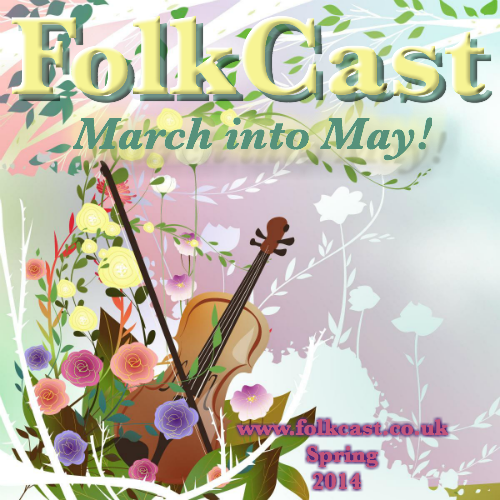 Let's celebrate the coming of Spring with FolkCast's March Into May 2015, a progression in music and verse from the slow departure of old man winter to the birth of the summer. 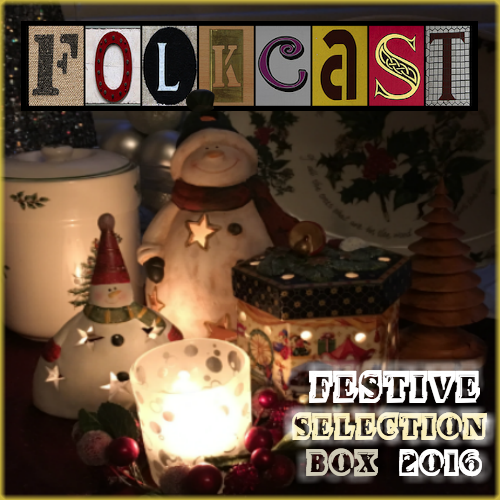 The FolkCast Festive Selection Box - bursting with good things for the season of Christmas, Yule and Saturnalia, with specially selected music and readings. Readings and verse by: Bart Simpson - Mrs CS Stone - Ashley Hutchings - Virginia Woolf. A storming collection of songs, poetry and prose for the winter 2014/15. Music by: Green Diesel - The Imagined Village - The Young 'Uns - Peter Lacey - Reid Jamieson - Ninebarrow - Mark Ellis - Greg Russell and Ciaran Algar - KC Barber - George Boomsma - Stooshie - Rainbow Chasers - Miranda Sykes - Shine - Kyle Carey - Charlie Mosbrook - Duncan McCrone - Nigel Brown. Quotations by: Oliver Herford - James Carlos Blake - John Burrows - Thomas De Quincey - John Updyke - Lord Byron - Billy Connolly - Sinclair Lewis - Phil Widdows - Robert Byrne - JR Stockton. Take a musical walk through the Autumn, from September to December, via Halloween and Guy Fawkes' Night. Pull up a beach chair, help yourself to barbecue and beer, and enjoy 80 minutes of sizzling summer sounds. 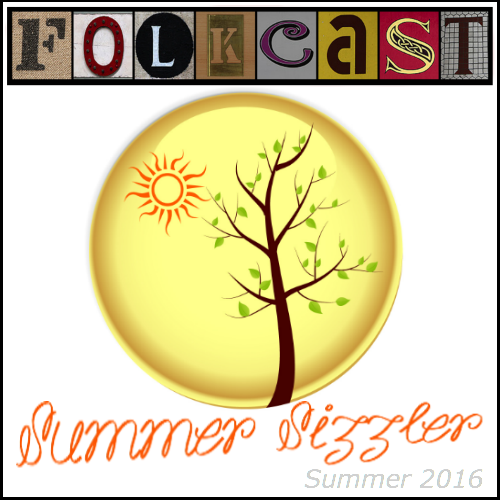 FolkCast's second annual celebration of the season of Spring, as told in music, rhyme and verse. Come on, let's set out now on a journey from the death of Old Man Winter to the dawning of a new summer ... on the way we'll visit April and Easter as we March Into May! Music and poetry for the season of Winter, of Christmas & Yuletide. A collection of songs and quotations for the Autumn season. A soundtrack for the season: summery songs and songs of the summer, with poetry and quotations to match. 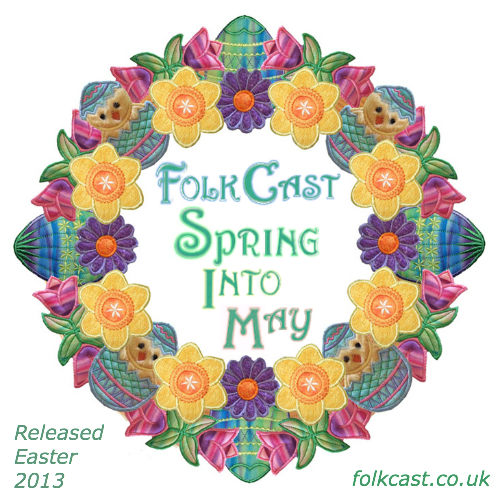 Spring Into May: A FolkCast Seasonal Special - Music and poetry for the Spring to early Summer. 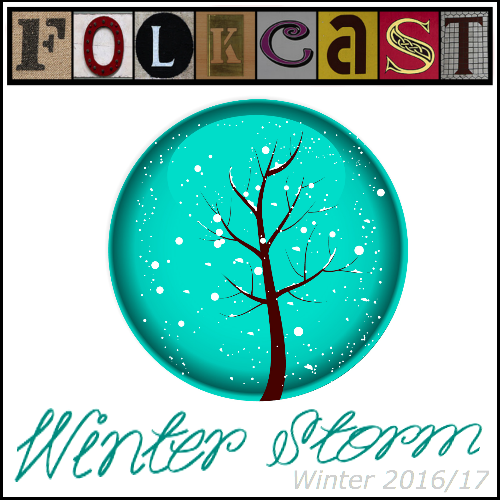 Come to the FolkCast Village Hall for a special show full of music, poetry and comedy to celebrate winter, Yuletide, Christmas and beyond! Featuring music by: Green Diesel - Tarbox Ramblers - Emily Smith - Joy Dunlop and Twelfth Day - Life And Times - Josienne Clarke - Kerfuffle - Bob Kirkpatrick - Priscilla Ahn - Beegie Adair - Jars Of Clay - Bella Hardy - Barricades Rise - Mike Vass - The Albion Band - Ken Nicol - Vicki Swan and Jonny Dyer - Anup - The Christmas Album Band - Jo Bywater - Gareth Davies-Jones - Lindisfarne. Bring a bottle and join the party for our festive special for 2011, with music from: Coope, Boyes, Simpson, Fraser, Freya and Boyes - The Rash - Findley Napier and The Bar Room Mountaineers - Debra Cowan - Thursday's Child - Cross The Border - Damien Barber and The Durbervilles - Erica Wheeler - Waterson:Carthy - The Morris On Band - Neil innes - The Banana Sessions - The Tremendous Seasons - David Cahalan - Carwyn Tywyn - The Glasgow Madrigirls - The Oxford Voices with Sioned Williams - The Oxford Waits - Ken And Lisa Theriot - Magpie Lane - Brocc - St Agnes Fountain - Billy Bragg and Ben Sollee - Robin Allender - Trans-Siberian Orchestra - The Bailey Sisters. Our festive special for 2010 features music from: Tennessee Ernie Ford - B.E. Taylor - Damh The Bard - Jon London - Keith Ahern - Monte Selby - Eric Reed - The Magical Christmas Tree Tour featuring Pete Morton, Maggie Boyle and Chris Parkinson - Aine Furey - Brave Combo - Blabbermouth - Michael Silvestri - Stig Denson - Pink Martini - Durbin Elf - Natalie McCool - Tim & Kathy Mahoney - Joemy Wilson - The Lancashire Hotpots - The Columba Minstrels - Triangle - Ken Nicol - Joglaresa - Rusty Bladen - The cast of A Don't Hug Me Christmas Carol - The Swing Cats - Pittsburgh Symphony Brass. A recreation of the British folk tradition of the guiser or mummers play - an entertainment of great renown, featuring the finest theatrical talent and music both rare and excellent! Music from: The Christmas Revels - Peter Calo - The Oxford Waits. 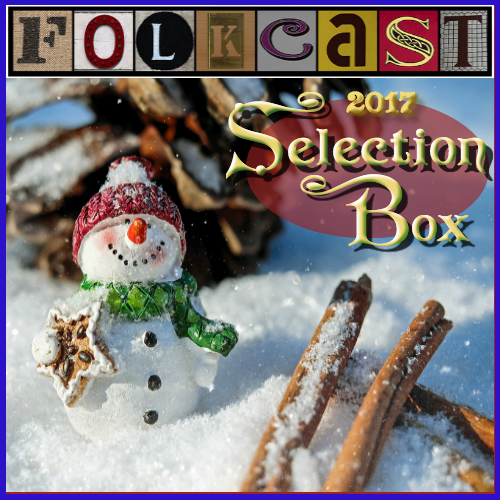 Seasonal songs, tunes and readings in a hand-picked mix of some of the very best alternative music for the Christmas period. Music from: The Christmas Revels - Al Pettaway and Amy White - Lee Harris And Country Sunshine - Blitzen Trapper - Ian Whitcomb - Bill Kahler - Chris Goddard - Doug Astrop - Kitka - Pittsburgh Symphony Brass - The Tequila Mockingbirds - Jars Of Clay - Jennifer Avalon - Al Stravinsky - Simon Bernard-Smith - Maeron English Folk Music - Damh The Bard - The Klezmatics - Chris and Siobhan Nelson - James Edwards - Helene Blum - Mike Fred - Howell-Freundlich Orchestra - Neil Murray - Martin Sexton - Ken Nicol. No talk, just music. A journey through mid-Winter into Yule, Christmas and New Year, ending with a look to the far distant summer.